Make action your middle name as you rule the streets in Burnout Paradise Remastered. Tear up the town from hectic downtown avenues to wild mountain roads. Relive the high-octane stunts and wanton destruction of one of the greatest arcade-driving games ever! Burnout Paradise Remastered provides the ultimate driving playground for you and your friends to play online. This remaster includes all DLC from the Year of Paradise, including the Big Surf Island update, meticulously recreated and ready to wreck in 4K on compatible the PlayStation 4 Pro and Xbox One X. 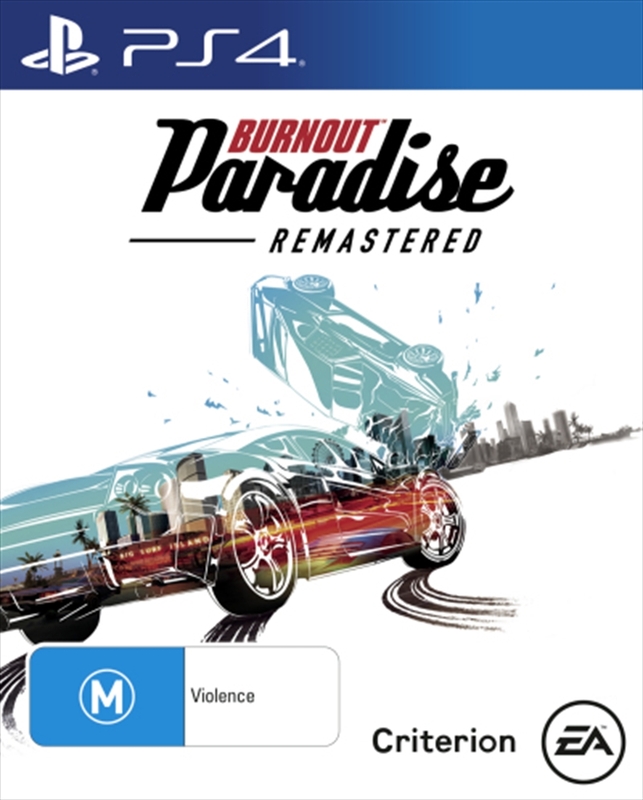 Burn rubber and shred metal across the open roads of Paradise City while discovering jumps, stunts, and shortcuts. Blaze your path to glory in unique events, using your knowledge of the city to find the fastest routes and get the drop on rivals. Wreck your friends online and collect their mugshots, or join forces to demolish hundreds of online challenges. Throw out that driver's handbook and set speed and destruction records all over town. Track how many you own, and prove your demolition dominance against your friends. Send your car launching, spinning, and scraping through the city, smashing through traffic and leaving a very expensive trail of wreckage in your rearview. The remaster delivers the complete original game and all additional downloadable content ever released with a range of technical enhancements for greater visual fidelity and authenticity, including high resolution textures and more. It plays natively in 1080p on the PlayStation 4 and Xbox One consoles, and in stunning 4K at 60fps on the PlayStation 4 Pro and Xbox One X.